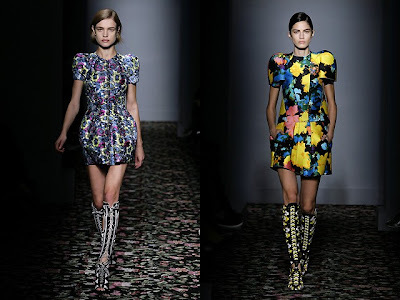 Styleshine: Balenciaga's Floral Spring Collection. 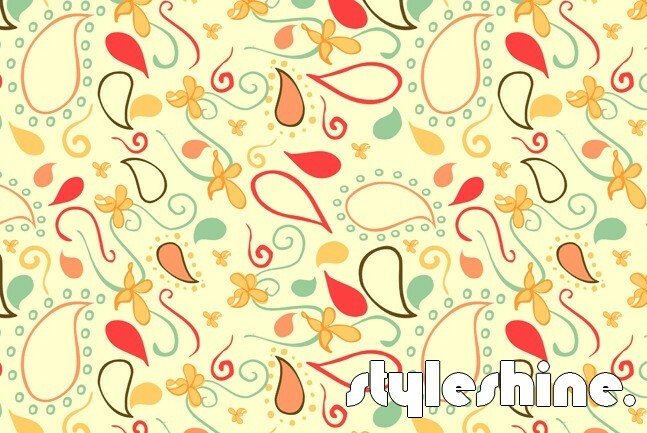 At first, I didn't go crazy for the whole florals thing, I thought it was kind of grandma-like. So when I looked at the Balenciaga Spring 2008 collection, I didn't very much fall for it. But now, after I've started liking the trend and realize how vivid and springy it is, I took another look at the collection, and this time I really LOVED it. Crap, those prints are downright awesome. I LOVE the florals this season. I think its quite different from the smaller prints from luella and other lines but I think it's still very wearable. Anyway, I'm still in love with the strange shapes of the dresses. �� �� �� ������ ������� �� � ��������. ����� ��� �� �� � � ����� �������� ��� ��� � ���� ..
� � ���� �� ���� � ��. 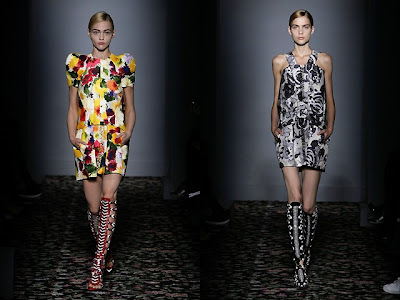 i think that balenciaga collection is really unforgetable! i love it! I'm not a big fan; I hated them when they were first shown. Last year. 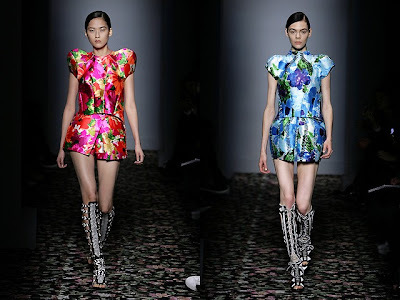 I like the florals of spring in general, but with these specific Balenciaga armor pieces being featured in every other editorial, I'm getting tired of seeing them. Overexposure, I suppose. I can't get enough of this collection, thank you for posting the pictures!! I love this collection so much, thanks for sharing the pics! i have to say my favorite part of the collection was the shoes...love! I've always loved floral, and I agree, these dresses are amazing!